The Isle of Anglesey culinary offerings are on the up of late. Not only have they represented North Wales in Great British menu on BBC but they also have more Michelin Stars than the countries capital, which was awarded to Sosban in Menai. We will come to that in the near future as I had to book 6 months in advance and won’t be dinning there till April. 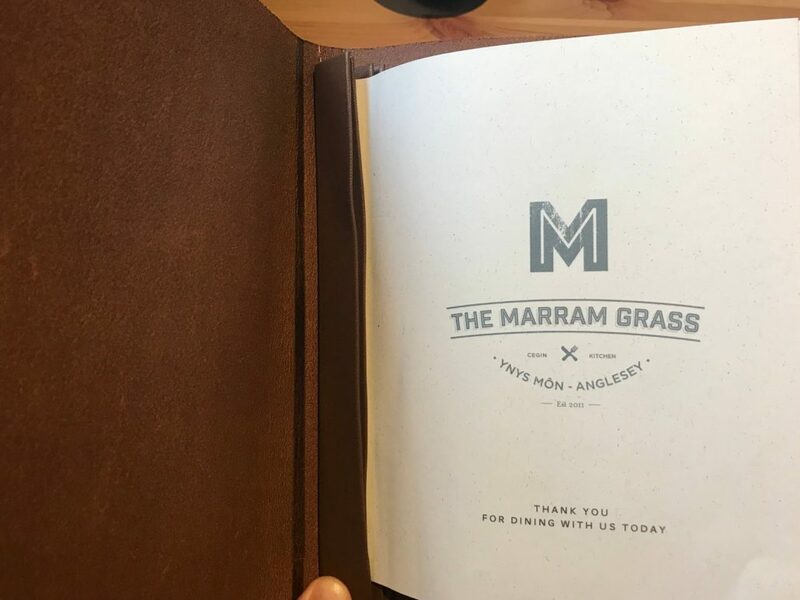 Not content with having to wait until April for some fine dining we managed to book into Anglesey’s other well documented eating establishment Marram Grass. 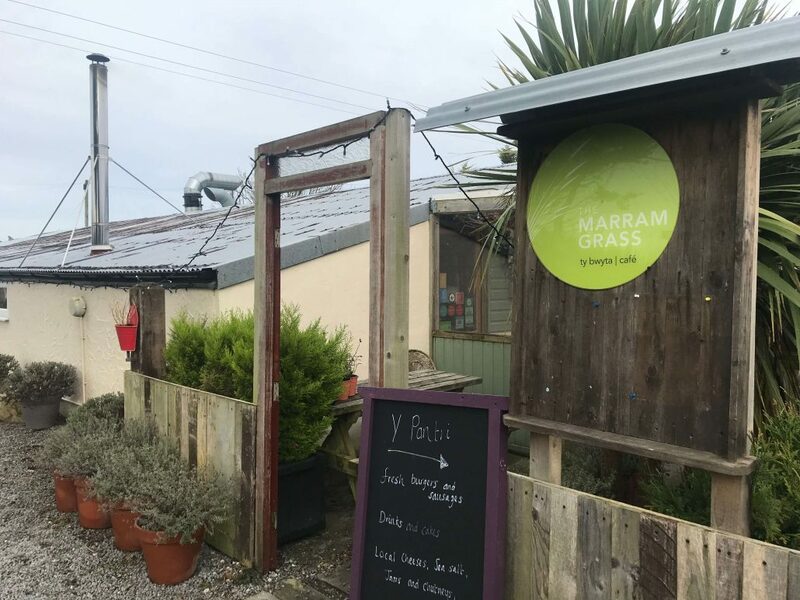 Not your average restaurant and you would be forgiven thinking you’re more likely to see a greasy spoon on the site from the roadside as the restaurant is within a shed situated on a caravan site in the village of Newborough. I think this adds to the charm of the restaurant and sticks two fingers up to some of the more pretentious venues showing them you can muster up excellent plates of food and people will travel for it no matter how expensive the chandeliers are or how man thousand year old oak trees have been chopped down in order to make the tables. The restaurant has been transformed inside though and looks nothing like it does on the outside. Seeing as we were up in Anglesey between Christmas and New Year without any plans we thought we would swing by for some lunch. We probably would of struggled getting a table ringing up a few days before normally but seeing that the majority of people on the island had two weeks’ worth of food shopping spilling out of the fridge we were lucky. 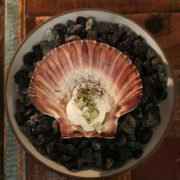 My favourite thing to do before and after booking a restaurant is to mull over the menu deliberating so I don’t take hours when I’m there but The Marram Grass serves only the freshest, in season produce and is constantly changing the menu so it was a complete surprise as to what we would have on the day. 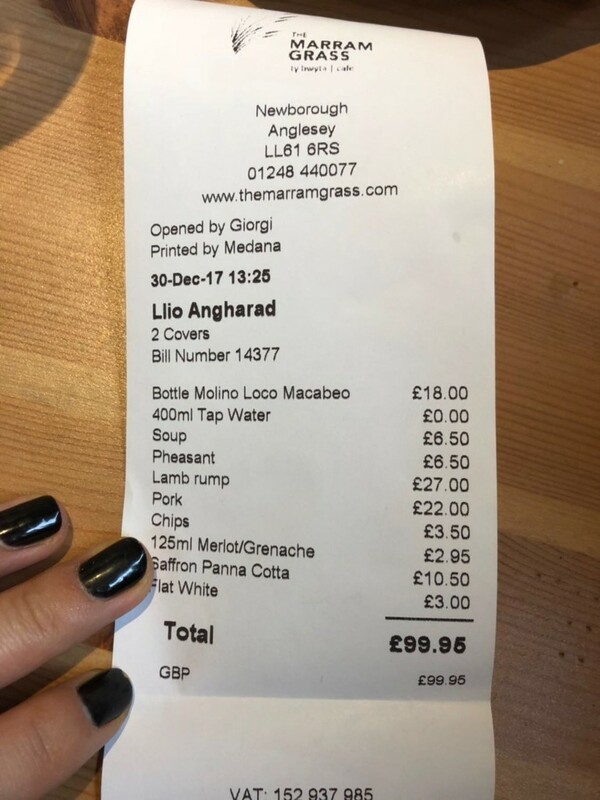 Seeing as it was way past the acceptable hour of drinking for Christmas we ordered a bottle of white whilst we pondered over the menu, which were very reasonably priced I have to admit. 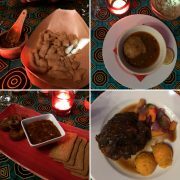 I did however think the price on the main courses was a lot steeper than I thought they would be considering it’s a café essentially, it’s location on a caravan park and we were dining for lunch. 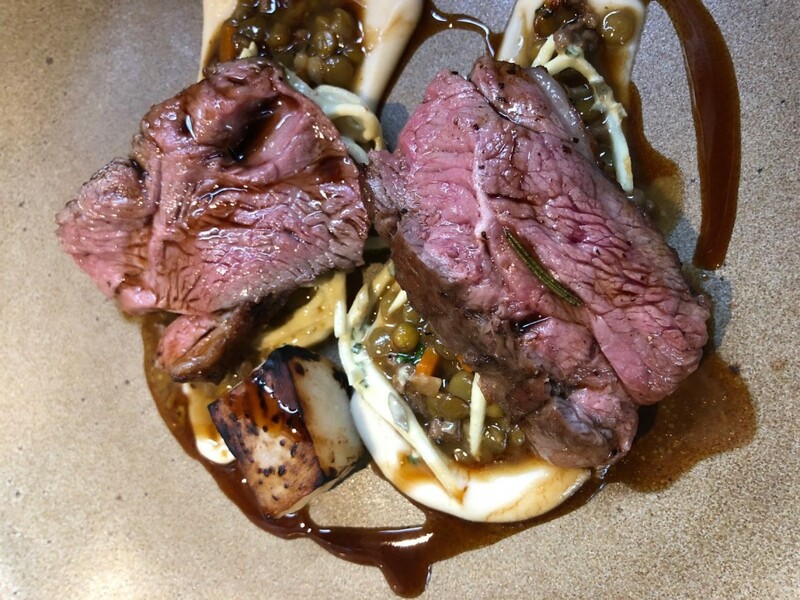 Mains on the menu ranged from £19 for fish of the day up to a hefty £35 for the Welsh Black beef, black cabbage, Portobello mushroom and textures of onion. Not your typical pub or restaurant you would usually find on a campsite then but they did have fish and chips on the daily special at a much more reasonable £14. I thought this was handy for people who wanted to sample the place if they were staying on the camp but didn’t want to spend too much. 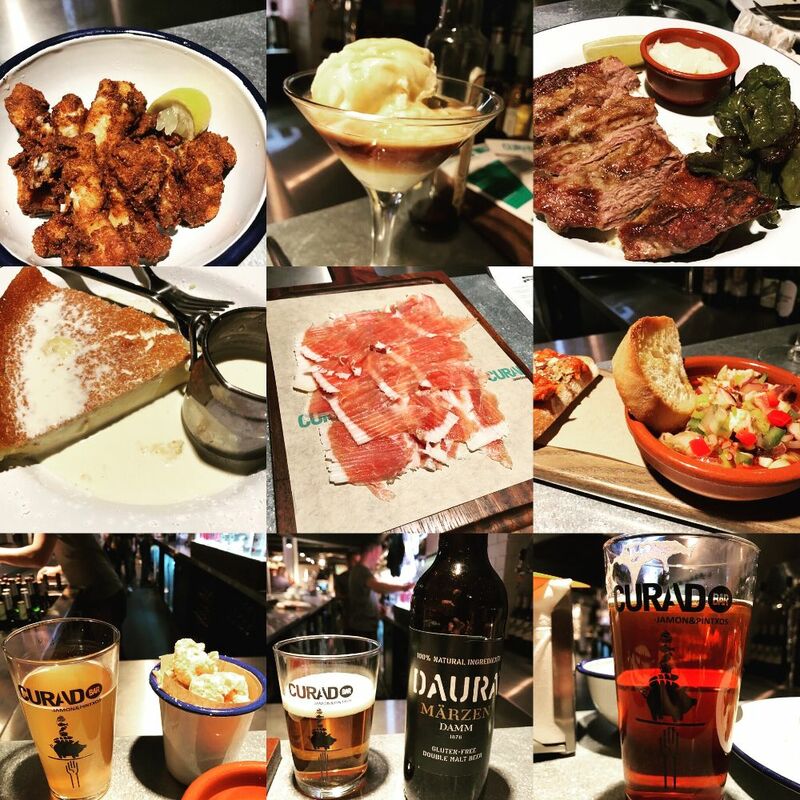 My body aching for anything other than turkey and a 12 cheese variety cheeseboard I was happy with pretty much everything on there today and luckily the menu wasn’t too expansive so I didn’t take too long to decide. As we were due to go shooting later in the day (clays the real thing) I thought I’d get in the mood with a bit of game with the daily special of Pheasant and puy lentils for starter. Llio is mad for her soup at the moment so she opted for the crown prince squash, curried raisins with homemade sourdough and Hafod butter. 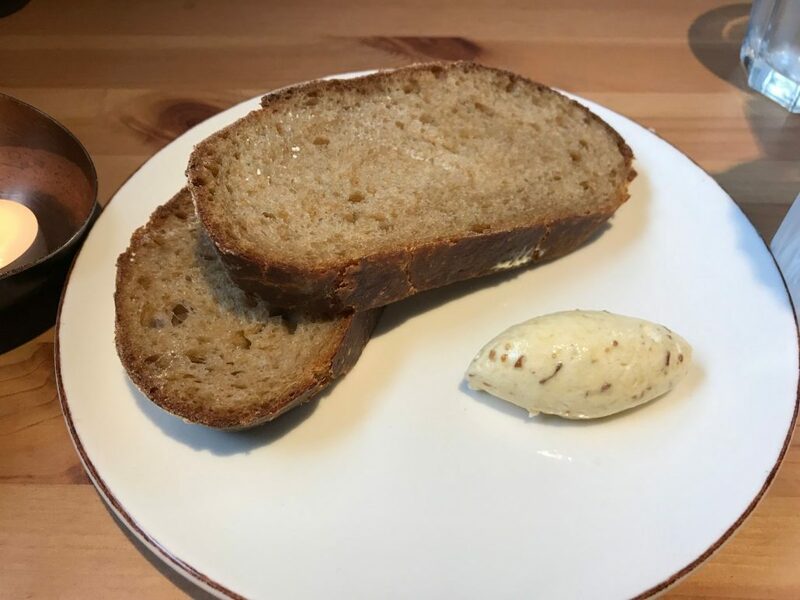 We were presented with some fresh treacle bread and butter before the starters came. I’d never tried such bread before and was a good mix of sweet and savoury, which tasted equally as good with a good slather of butter. As usual we fought over who was having what for mains as we usually prefer the same one but like to have a try of more than one dish. Llio opted for the lamb whereas I went for a pork fest, which included pork fillet, pork belly a crackling bon bon, pipped potatoes and a carrot puree. 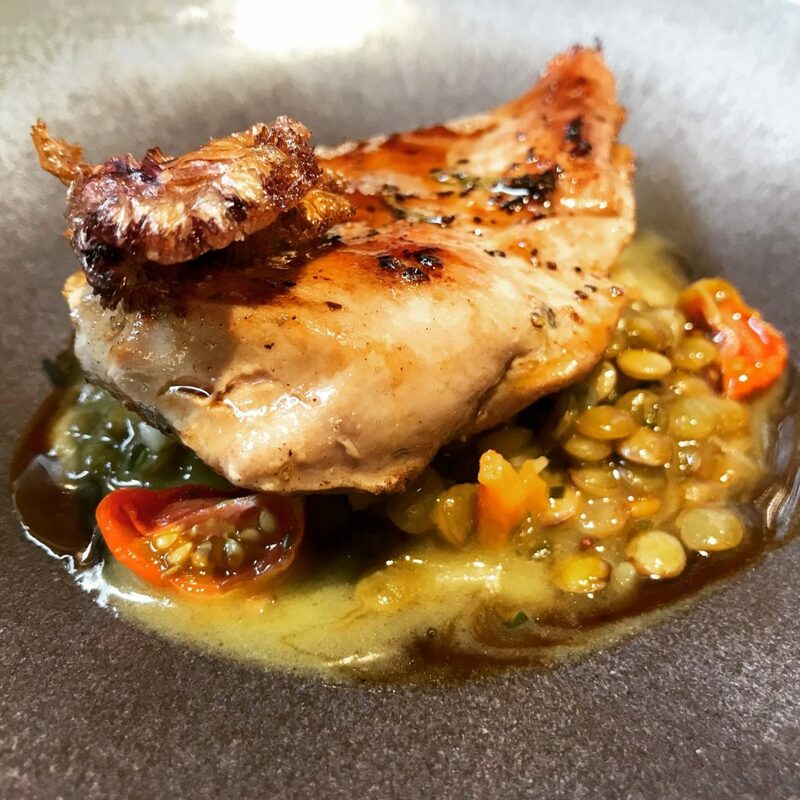 The Pheasant was a really hearty dish for a starter with a decent sized portion of meat, well-seasoned puy lentils and chunks of tomatoes. 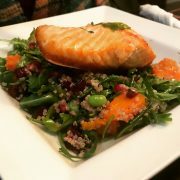 Not too much going on with the plate to let the main ingredients do their thing. 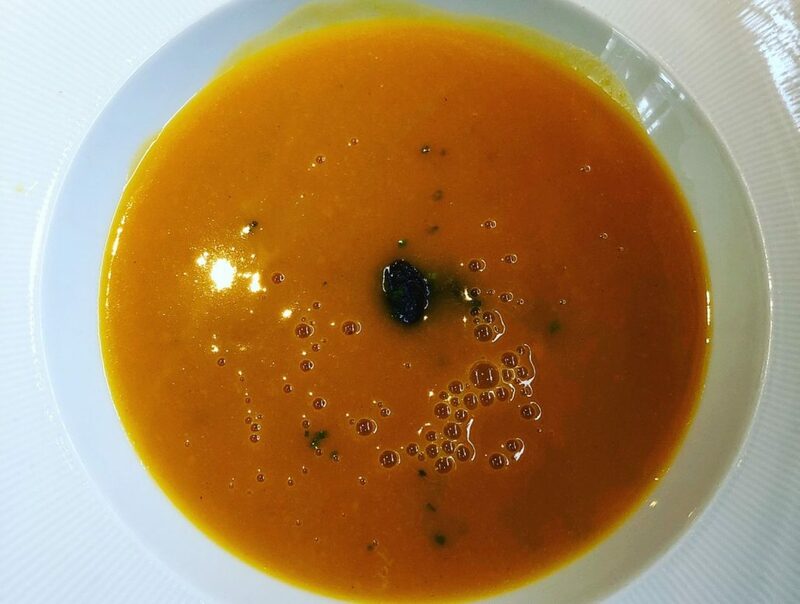 Llio’s soup was a great big bowl of winter lovliness with freshly baked dunkable, buttery sourdough but I’d go for a portion of meat on my plate every time. My main was pretty epic to look at and more than made up for on the palate. 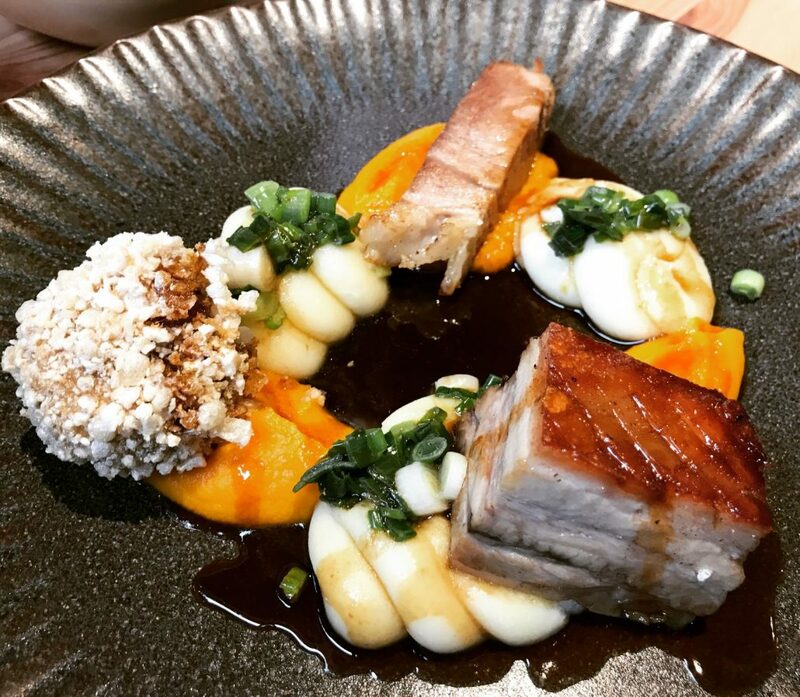 A good selection of different cuts of pork and different textures to balance it out as I love a good crunch to my forkful of food. Silky smooth mash and sweet carrot puree pebbled with slithers of spring onion and oodles of rich gravy splayed over the meaty morsels. The lamb served perfectly pink on a bed of green lentil cassoulet and trio of celeriac with salt baked, puree and remoulade. 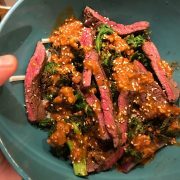 The flavours packed a punch but I think my mains topped it with more little nuggets of goodies to feed on. The pork was £6 cheaper at £22 compared to £28 for the lamb, which I thought was a little steep for lunch. I hadn’t committed to dessert yet but on mention of the saffron and yuzu panna cotta on the specials board I was sold. I’ve got a little obsession with the powerful Asian citrus fruit lately and keep a bottle to hand in the fridge to give an extra zing to dishes sweet or savoury so if it’s ever on the menu in something it’s usually top of the list by default. Llio was left a little full after all the bread with the dishes so I had to go it alone. 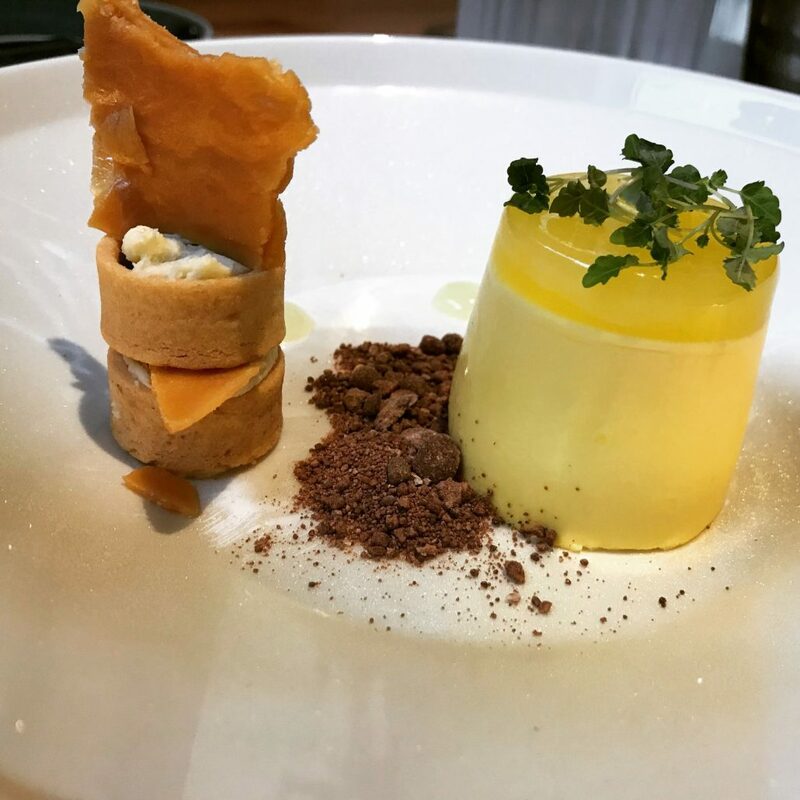 I loved the different combination of flavours and textures going on with the dessert from the wobbly citrusy burst of yuzu in the panna cotta to the scattering of crumbly chocolate bits and the sticky, chewy pastry esque shards of jolting from the chocolate filled parcels too. Sweet, citrusy chocolatey, soft, chewy, crunchy it had it all. I bloody hate a bowl of the same thing to plough on through I’ll be honest. 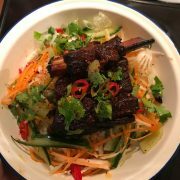 I couldn’t fault anything we were served and the service was excellent and very attentive although we were one of only two tables dinning at the time. 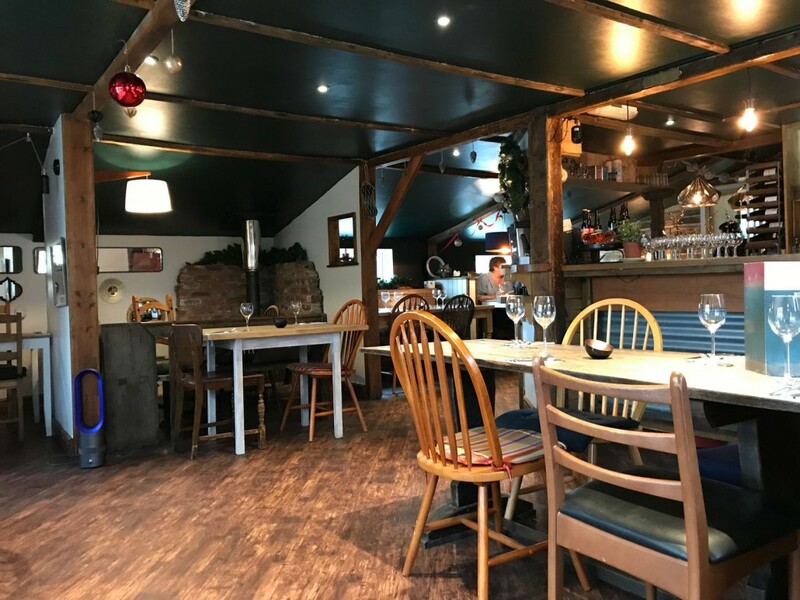 Very friendly and helpful though none the less.The food was excellent all round, I liked the rustic vibe going on inside and the wine was very reasonably priced. Price wise I thought it was a little steep for location and it being a café / bistro. Even though the food was lovely, we were dinning for lunch and I can’t say I’ve spent around £100 for lunch that often apart from special occasions. Dinning in the evening I wouldn’t have any qualms at all but it would have been nice to have a few more reasonably priced lunch menu options. I couldn’t really see many of the clientele of the caravan site being able to afford to feed a family of 5 or 6 on the off chance when they couldn’t be bothered to cook on the gas stove for lunch, as it would be close to £250-£300. Well I can’t speak for everyone, but I know my family or mum at least wouldn’t be forking out that much for one meal for us. Would I go back again? I wouldn’t go back for lunch for the price we paid, well not just a random lunch out. I would go back for an evening meal for a birthday or special occasion when up north or even to sample the tasting menu though. I noticed on social media that the Liverpudlian brothers, Liam and Ellis Barrie who run the Marram Grass have announced they are building luxury appartments on the site just yesterday too so there are a few new things coming and the site will be changing dramatically in the near future and I hope them all the best on the new venture.